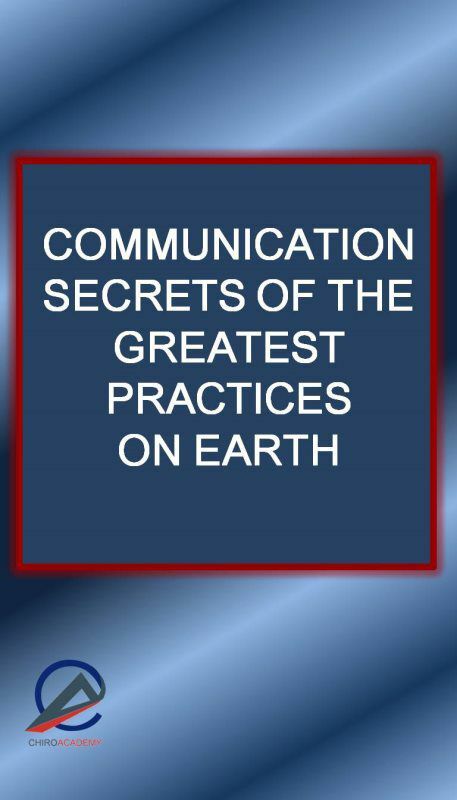 "Communication Secrets of the Greatest Practices on Earth"
This course is specifically designed to explore and understand your communication style and how to better communicate to your staff and patients! When you work with other people, your personality style will interact with their's in some pretty predictable ways. These interactions will have a major impact on your patients and the success of your practice. These interactions will determine your patients start care or not, if they follow through with care and even if they will refer to you. 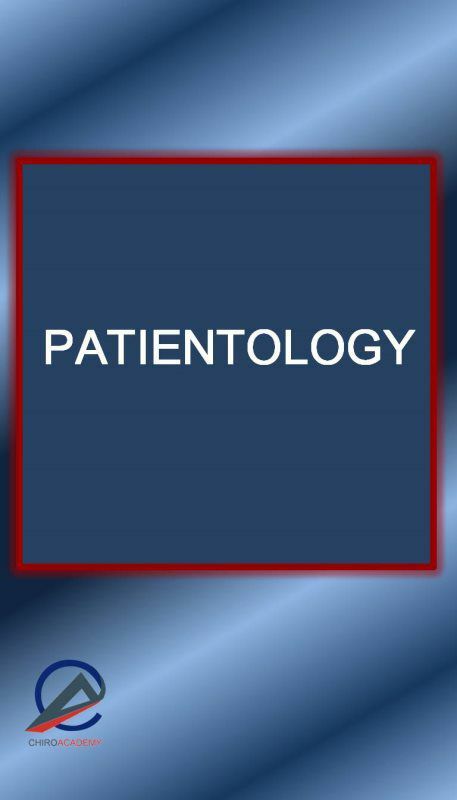 Everything from patient communication, education to who refers is heavily influenced by our personality style blend and our knowledge of how to control it. The DISC Human Behavior Model provides great insights into our behaviors and interactions that make building great patient relationships and rapport much more predictable and manageable. . This tele-course logically lays out the science and the tools behind building extraordinary relationships with all patients. You will never see patient communication the same again. 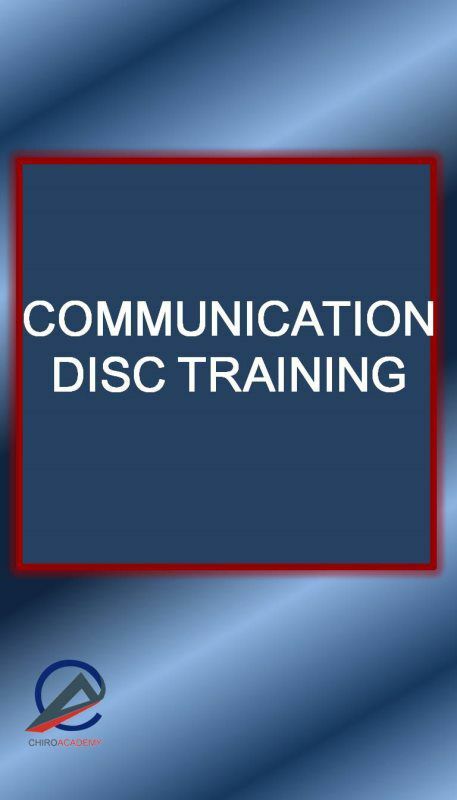 This class also includes a chiroAcademy DISC assessment tool that you can use for yourself, staff and potential hires. Increase your conversions: A patient will never agree to a care plan from a doctor that they don't trust or understand. Practices have been shown to increase their conversions by 70% when implementing these techniques! Increase patient compliance: Your patients will drop like flies if you can't communicate to them! 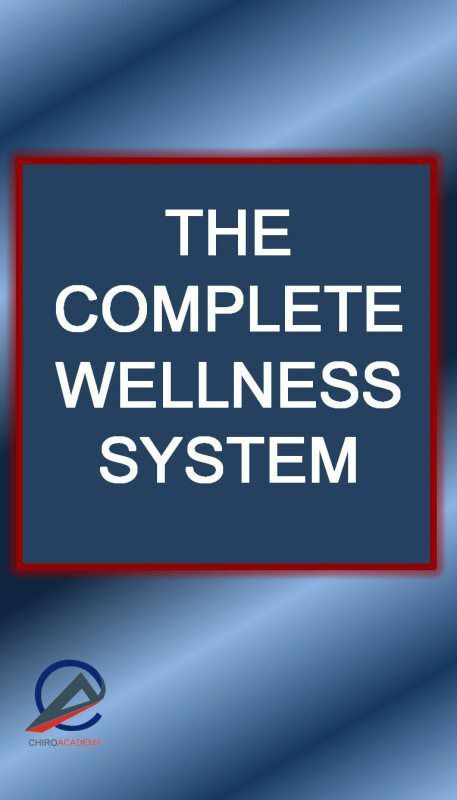 This is an essential tool for chiropractic practices. Increase patient retention. Great practices are built on building great relationships. The fastest, quickest, easiest way to build great relationships with all patients is by implementing these communication tools. Increase your referrals. One of the easiest way to build referrals is to build a practice base that absoluetly loves you. Your patients will finally understand you! Come join chiropractors from around the world on this unique opportunity to grow your wellness practice! If you don’t have 100% of new patients starting care, you need this program! Great practices are built on great relationships. This audio program will show you how to tap into this gold mine! These are the secrets of Madison Avenue—businessmen have invested as much as $25,000 to learn these secrets. Now you can have the same training for pennies! Learn why scripting will never work for all of your patients and how to adapt your communication so it connects with everyone! No patient will ever follow your recommendations until you establish trust. Learn how to establish trust with every patient in minutes. This is one of the most powerful tools you will find in practice because patients who trust you will do what you tell them! You will learn the seven keys to building trust with any patient, any time. It’s easy if you have the right information! This chiroAcademy training-course logically lays out the science and the tools behind building extraordinary relationships with all patients. This course also includes a chiroAcademy DISC assessment tool that you can use for yourself, staff and potential hires.